Leamington had many chapels, some are long gone, others have been put to alternative uses, and some lie empty, probably damp and derelict, awaiting their fate. The ex- Baptist chapel on Clarendon Street is one such, being proposed currently for demolition and replacement by housing. There are two chapels however that seem unlikely to face demolition due to their unusual construction. They are the Tavistock street chapel and the Oxford Street chapel. Both of these buildings follow an uncommon style, with none of the grandiosity of most chapels. Both would appear to have been constructed as ‘chapels for hire’, – as a commercial enterprise. Both chapels have a chequered history of usage, starting with a similar pattern of early religious tenants followed by a later decline into secular and commercial usage. Tavistock street chapel appears in the 1851 Religious Census as used by the Apostolic Catholics, with 26 worshippers. 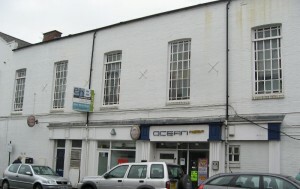 It was later used as a boys’ club, a builders office, and most recently by a ladies’ hairdresser. The Oxford street chapel however had a long tenancy by the Brethren, from 1873 to1921, followed by the Spiritualists from 1932 to 1940. The building is currently empty, after a brief spell as a night club. So what is special about the two chapels? They are apparently of an uncommon design, possibly even unique. They are built over commercial properties: they are first floor chapels. 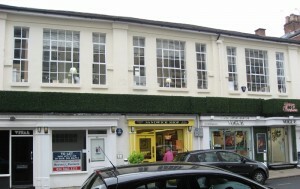 The enterprising builder managed to combine ground floor shops with a first floor hall for rent. The site of the tavistock Street chapel can be found on a map as the property of a Mr John Morris, with the road across the end of the site then called Morris street. Whether that makes him the builder of the site is not known. No evidence has been so far located for the ownership of the Oxford Street site. It may possibly be a copy of the Tavistock Street chapel, or it may be another attempt by Mr Morris. The idea seems to bear remarkable similarities to the concept of “topshops” as found in many weaving districts, including nearby Coventry. Topshops were built as workshops over living quarters, usually identified by their ample top-floor windows. Could this have been the basis of the first floor chapels, both of which also have large windows? 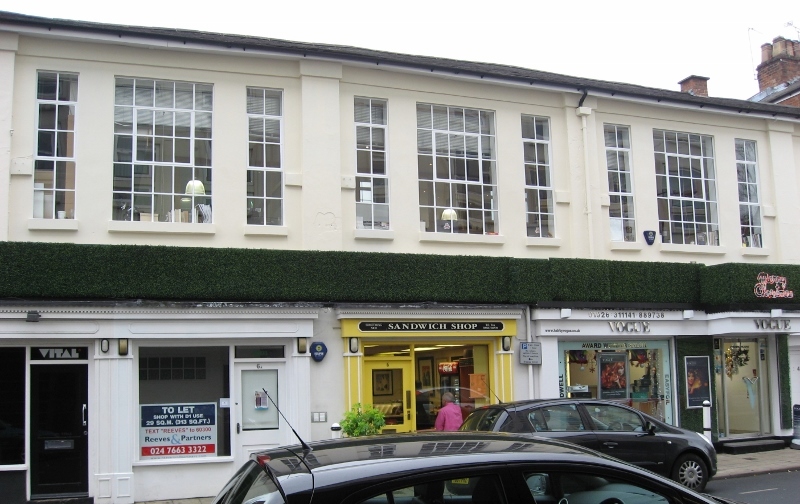 Tavistock Street in particular resembles this model, with its long windows set close to the roofline of the building. The usual resource now for queries of this kind, the Internet, offers no similar chapels, so the concept may be unique to Leamington, or even to Mr Morris. Any information to disprove this idea would be most welcome.